Electrical 101. What You Need to Know to Keep Your Family Safe. Electrical issues are no joke, serious injuries or death can occur if handled improperly. The safety of your family and home are at the top of your priority list and you may not be aware of the electrical safety mistakes you’re making every day. With the goal of keeping your loved ones as safe as possible. Here is a list of important electrical information, every homeowner should know. Power cords can be real eyesores and tripping hazards. Like a lot of people, you might place furniture on top of your cords or run your cords under a rug to hide them. This is a big fire hazard! The visual appeal is not worth the risk. Whether you have an older home with a fuse box or a newer home with circuit breakers, if they are consistently malfunctioning, it’s a sign of a much bigger problem. Fuses and breakers are sized to protect and handle the wiring of your home. So there is no reason you should be tripping breakers or blowing fuses. 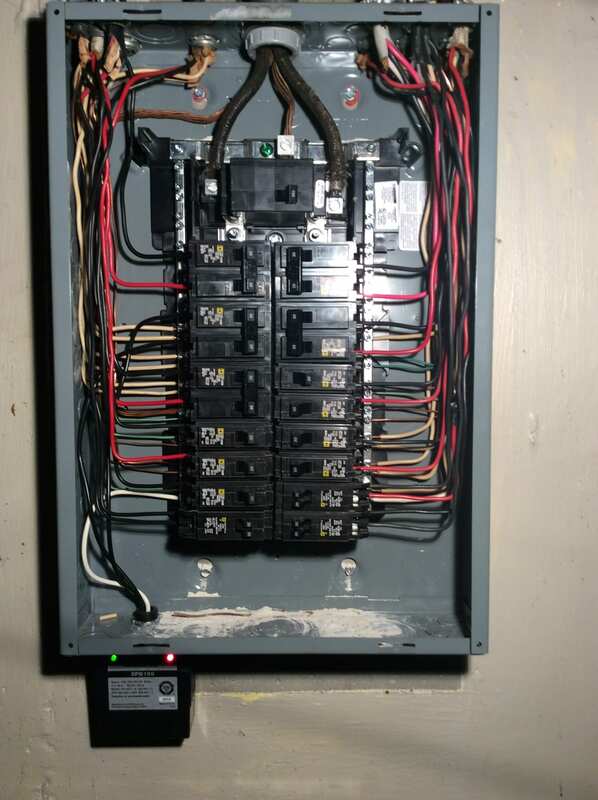 If you’re having this issue, it’s time to call a Licensed Electrician to assess your situation. You may think that some minor fraying or damage to power cords or wiring is no big deal. Well, think again! Not only are fraying wires a fire hazard, but they also pose a huge safety risk. Small children and pets like to explore and if they get a hold of a frayed cord, they risk being shocked, electrical burns or worse. If you have concerns about faulty wiring a Licensed Electrician can replace any damage and dangerous wires. You want to be sure that all of your circuits are grounded properly. Improperly grounded circuits put you and your family at risk for being shocked. Additionally, any outlet or circuit in your bathroom, kitchen, basement, laundry room or other damp locations, need to be ground fault type. If they’re not or you’re not sure, you need to have an Electrician inspect your grounding as soon as possible. Electrical fires are extremely dangerous and can slowly burn in the wiring of your walls for days before you notice. Be on the lookout for these signs that might indicate the beginning stages of an electrical fire. Flickering or dimming lights, sizzling sounds or a burning odor you can’t locate the source of if you notice any of these have someone come inspect your wiring intimidatingly. Bonus Tip: Never, ever use water to put out an electrical fire! Call the fire department right away! Most exten sion cords aren’t designed for ongoing use and should be unplugged when you’re not using them. And they’re not meant to support large appliances; dishwashers, washing machines, dryers, refrigerators, furnaces, air conditioners, etc. should never use an extension cord. You shouldn’t just plug a generator into your electrical system. Often times this can cause damage to your appliances and create a fire risk. If you wish to have a generator, make sure that you have an Electrician installs it for you. Electrical issues are always a concern for homeowners and the best way to prevent these issues is to have your electrical work receive an annual system check up by a Certified Electrician. It’s August 26th and that means it’s National Toilet Paper Day! You may be thinking, does toilet paper really need its own day? And the answer to that is of course, yes! Think about it, who doesn’t use toilet paper? This magical, thin tissue is often overlooked, but can you imagine what life would be like without it? It’s a gross thought, isn’t it? Today, let’s take some time to appreciate all of the contributions toilet paper makes on our lives. Let’s start by learning some interesting facts and tidbits about toilet paper, that might help you win a trivia contest one day. Corncobs- How do you think this one works? Leaves- Still a popular choice among campers and people lost in the woods. Sticks and Stones- may break my bones, but in a pinch can be used as a TP alternative? Seashells- Don’t try this one at home. Sponges- they are known for being absorbent. On average, people in the United States use about 50% more toilet paper each year, then other Western countries. So take that Europe. It’s estimated that each American uses 50 pounds of toilet paper in just one year. While other Western countries use about 33 pounds per person. The larger volume of toilet paper used by Americans likely does to our preference of using multi-ply tissue. 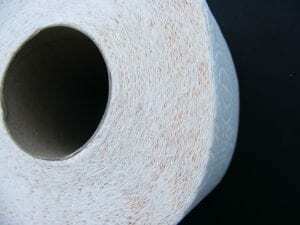 When toilet paper first hit the market in 1857, it wasn’t on a roll, instead, it was sold in flat squares. It wasn’t until 1883 that the traditional toilet paper on a roll became available. Coincidentally, 1883 was around the first time a couple fought over who forgot to replace the empty roll. Which country exports to most toilet paper in the world? Well, we do of course! Who is our biggest toilet paper customer? Canada imports more toilet paper from us than any other countr y on the planet. Can you buy toilet paper to match the colors in your bathroom? Apparently, US customers prefer white TP with decorative designs, to more colorful options. But if you’re ever in Europe, you can stock up on more festive TP. Three years of your life, down the drain. On average, a person can expect to spend three years of their life on the toilet. From the bathroom to the bank. The toilet paper industry makes around $200 billion a year. There are some pretty interesting urban legends out there when it comes to Plumbing. But which of this legend are myths and which ones are rooted in fact? Prepare to find out once and for all! Have you heard the stories of snakes crawling up people’s toilet pipes and biting them when they go to use the restroom? Well, if you’re sitting there thinking that this has to be a plumbing myth, then think again. Snakes entering your bathroom through the toilet is a plumbing fact. 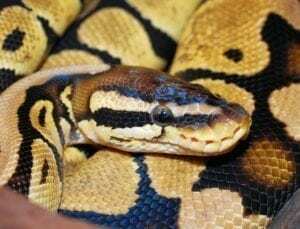 While rare, snakes can and have, slithered their way into people’s homes, via the toilet. Snakes can gain access to your plumbing in a few different ways, but homes with a crawl space are the most vulnerable. Snakes love crawl spaces and if there is a hole or large enough crack in one of your pipes, a snake can easily slide right in. Then it’s just a short distant from there to your toilet bowl. Plus, damaged or cracked pipes can cause a lot more serious plumbing and financial issues. If it’s been a while since you’ve had the condition of your pipes examined, it might be time to contact a licensed plumber, to ensure that your pipes are hole free! There is a popular theory, that you can keep the blades in your garbage disposal sharp, by grinding up ice cubes. This is a plumbing myth. At best, ice cubes might clean the blades in your disposal. So, if you notice a strong odor coming from your sink, you might consider tossing a few cubes in your disposal to see if that helps. clockwise in the southern hemisphere. No, no it doesn’t, this is a huge plumbing myth. The Coriolis Effect, really only applies to large bodies of water. Toilet bowls are just too small for the Coriolis Effect. The only thing that determines the direction water flushes is the design of the toilet. Grinding up my morning egg shells will help keep my disposal clean and o dor free. Egg lovers rejoice, this one is a plumbing fact. 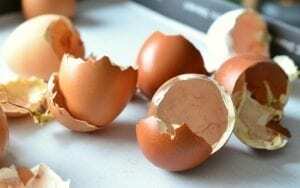 Go ahead a toss those egg shells in your disposal. They are one of the few items, soft and safe enough to go in the disposal, that will actually help keep it clean. I can flush my Flush-able wipes down the toilet with no problem. After all, why else would they be called Flush-able? You might want to think twice about tossing those wipes in your bowl. This is a plumbing (and advertising) myth. Unfortunately, in a lot of homes, air ducts get the out of sight, out of mind treatment. However; if you’re in the habit of running your air conditioning unit to cool your home in the summer and your furnace to keep yourself from freezing to death in the winter, then regularly cleaning your ducts is vital. All of the air that circulates through your home, from your heating and cooling systems, runs through your air ducts. Which means all of the dust and particles, floating in the air, will collect and stick inside your ducts. Causing air flow and air quality issues inside you’re home. There are several major benefits to keeping your ducts clean and the air flowing freely throughout your home. But many people forget that dirty air ducts, create the perfect environment for mold growth, as well. Air ducts full of mold are particularly dangerous, because the moment you kick on your heating and cooling units, those mold spores shoot directly into the very air your breathing. Dirty, clogged air ducts, means that the hot or cold air you’re trying to use to make your home comfortable, isn’t flowing easily through your duct system. 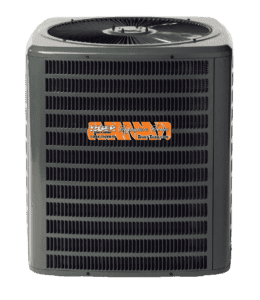 Meaning your air conditioner and furnace have to work harder and run more often, to produce enough hot or cold air to keep your home at the desirable temperature. ems can flow through your vents freely. Which means you’ll spend less money on your energy bill, since it will take less effort from your heating and cooling systems to regulate the temperature of your home. Each time you turn on your air conditioner or furnace, you’re forcing air to pass through your air ducts. This air picks up the dust and other indoor air pollutants, that have collected in your ventilation system, and shoots them right into the air you and your family are breathing. You may not see these particles flo ating around you, but this dust and debris from your air ducts maybe causing you some unpleasant health issues. If you or members of your family battle allergies or respiratory issues, your air ducts are likely causing or increasing these issues. the air and living quality of your home. So, clean your ducts to start enjoying cleaner air and a better quality of living. The dust and debris in your air ducts not only flow through the air you’re breathing, but they travel through your heating and cooling systems as well. Overtime, this debris can clog air filters and fans, cause extra wear and tear on your heating and cooling systems and drastically shorten the lifetime of your units. Proper air duct cleaning is vital to your home maintenance and should be moved to the top of your home improvement priority list. 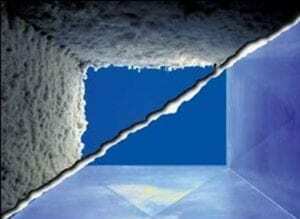 To have your air ducts professionally cleaned and maintained call (866) 844-3770 or visit trusttiger.com, to learn more about the importance of clean, debris free air ducts. Does My Furry Friend Need Air Conditioning? We love our pets and they love us, but sometimes their comfort might slip our minds. In order to save money on our electrical bills, many of us will turn our air conditioning units off or up really high so they don’t run all day while we’re gone. 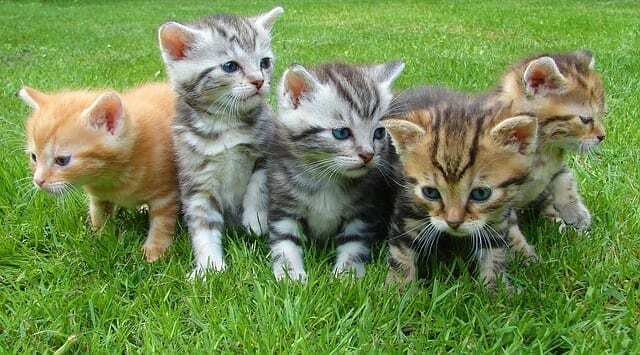 However, doing this can pose some serious issues to our beloved pets. 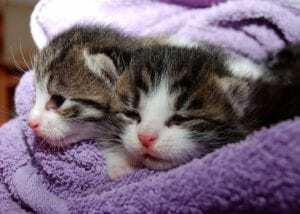 Cats and dogs typically come with coats of warm fur, which they can’t remove when they get too hot. 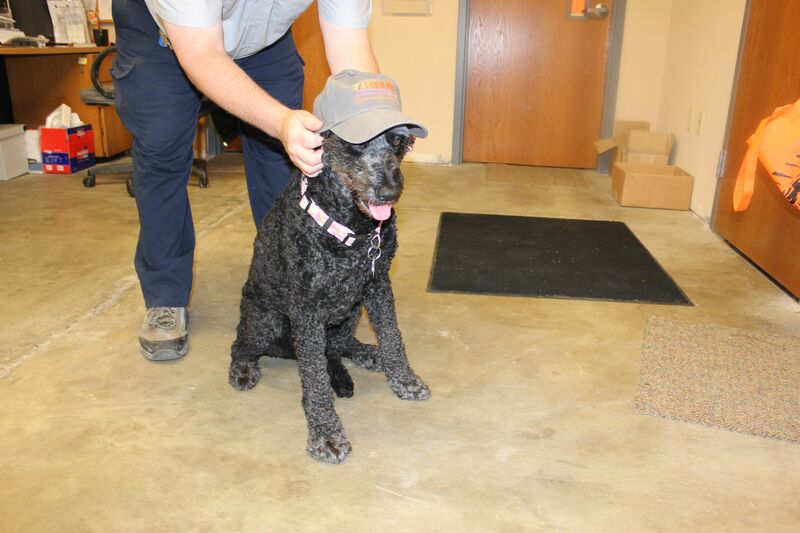 Additionally, unlike humans, animals can’t adjust the temperature of the air conditioning unit back down in the afternoon, when the heat really starts to rise. The good news is that you don’t have to choose between keeping your wallet fat and your pets healthy, happy and comfortable. You can run your air conditioning anywhere from 72 to 80 degrees while you’re out. By doing this, you can still save a good amount of money on your electrical bill and keep your pets comfortable. If you want to ensure that your air conditioning unit is running at its optimal potential so you can save some major dough on your electric bill. Go to trusttiger.com or call 1-888-9TIGER1 to set up an inspection of your air conditioning unit. Are you still worried about your pets overheating while you’re out and about? Check out these simple tips to help keep your furry family members cool and comfortable when you’re not around. If you love the feel of a fan blowing cool air your way on a hot August day, chances are that your pets will love it too. Setup a box fan on the floor in front of an air conditioning vent. Your pet will love the cold air blowing on their fur in the middle of an afternoo n.
Freeze a bottle of water overnight, then wrap it in a towel and place it in your pet’s favorite resting spot. When your pet gets overheated she can curl up in her favorite spot comfortably. All of that fur on your baby is undoubtedly adorable, but it’s causing her a lot of discomforts. 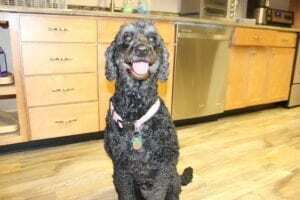 So, head over to the groomer and say goodbye to all of that hot, hot fur! Don’t worry, her fur will grow back a lot faster than you might think and she’ll be a lot more comfortable during the summer months. As an added bonus, you’ll be almost completely pet hair free for a couple of months! Drop a few ice cubes in your pet’s water bowl before you head out. 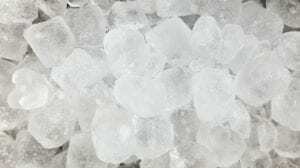 The ice will help keep your pets water cooler, longer and a lot of animals love playing with and munching on ice cubes. So, they will be cool and entertained while you’re away!